If you've already read the first part exploring what geniuses actually eat as opposed to what the rest of us are told to eat for brain health, you've noticed that there are some big discrepancies. Instead of favoring healthy, wholesome foods high in antioxidants, lots of high-achieving types tend to go for caffeine, sugar, and processed foods. 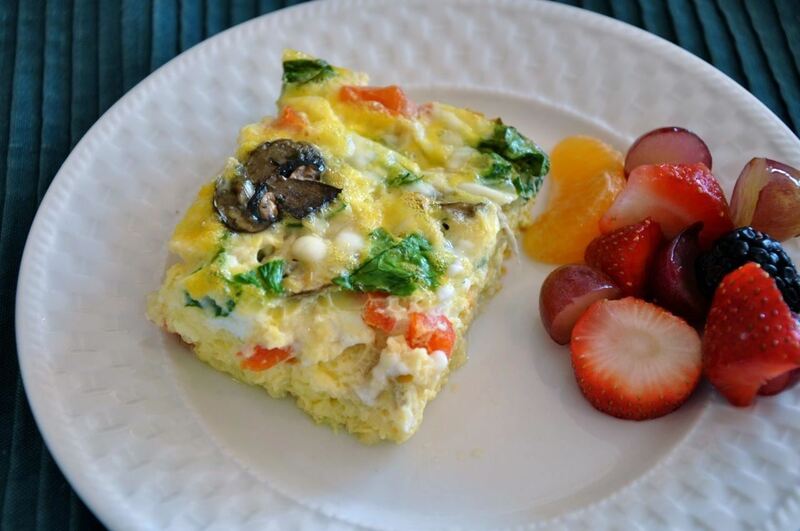 One notable health habit practiced by many: eating breakfast. Well, it only gets a little stranger from here on out. Unsurprisingly, some geniuses have some truly bizarre eating habits while others have a penchant for...well, read on. Writer/philospher Ayn Rand was a big user of Benzedrine, especially as she finished up her book The Fountainhead. Alas, she used it pretty steadily over the next thirty years, which did not bring her a lot of happiness, as you might imagine. Poet W.H. Auden took amphetamines every morning, like coffee, and (no surprise) needed a sedative to get to sleep at night. 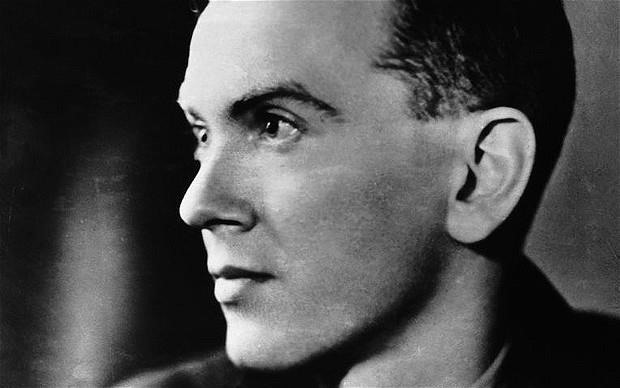 One of my favorite authors, Graham Greene, took two bennies to help him write two books simultaneously, but was able to quit eventually. French philospher Jean-Paul Satre took up to a dozen tablets daily of an amphetamine tablet called Corydrane, although Currey reports the number was closer to 20. Genius mathematician Paul Erdös was a lifetime devotee of caffeine and speed. His biographer, Paul Hoffman, notes he took 10 to 20 milligrams of Benzedrine or Ritalin every day. A friend challenged him to quit for a month. Erdös did, but did no work. He told his friend, "You set mathematics back a month," and promptly returned to his habit after the 30 days were up. Beloved oddball/pianist Glenn Gould only ate one meal a day: scrambled eggs, salad, toast, juice, sherbet, and decaf coffee at a diner. Eating more than that made him feel guilty. 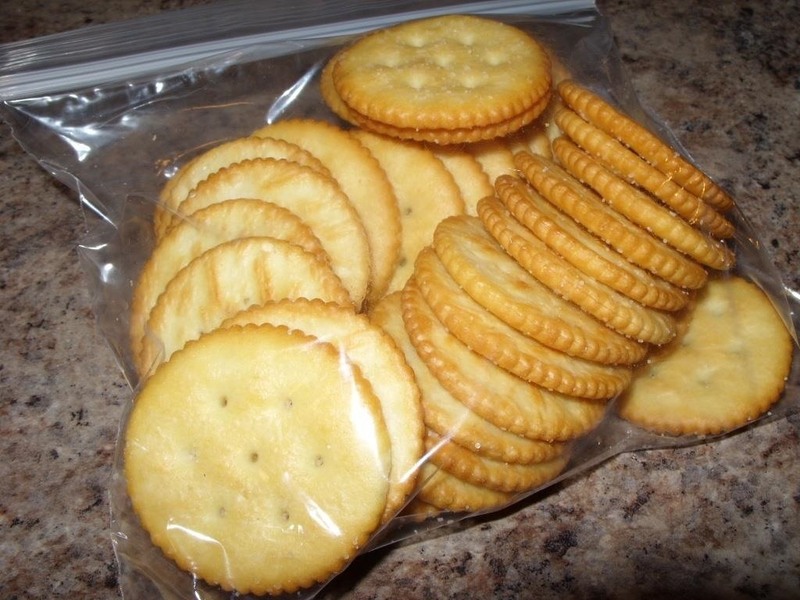 He did snack on arrowroot biscuits, Ritz crackers, tea, water, OJ, and coffee, though. On recording days, he fasted, which he said made his mind sharper. Scientist and inventor Nikola Tesla ate dinner at the Waldorf-Astoria Hote in New York by himself. He phoned the hotel in advance so that 18 clean linen napkins would be stacked at his dinner table. While he waited, he polished the crystal and silver with the napkins. The maître d' would serve his food while Tesla calculated the cubic contents of the dishes before eating. He had to do it to enjoy his food. 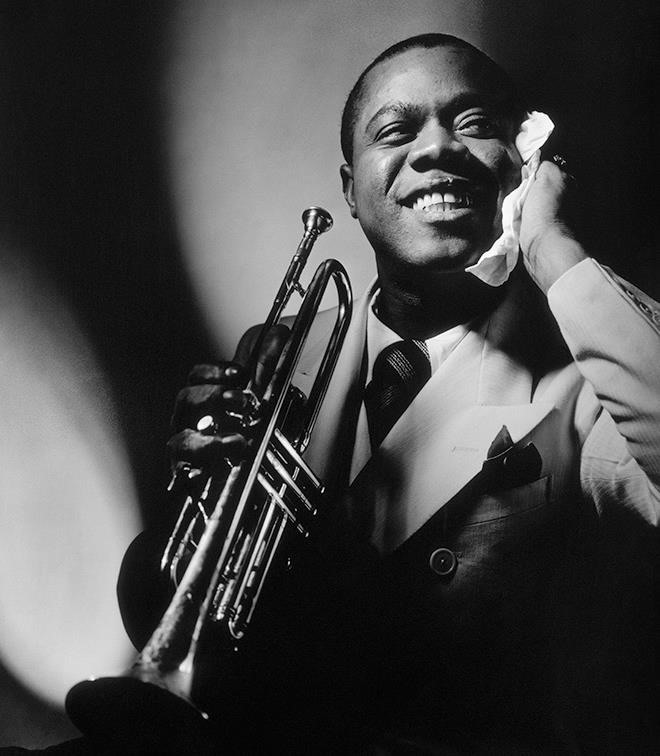 One-of-a-kind musician Louis Armstrong regularly drank glycerin and honey "for the pipes." 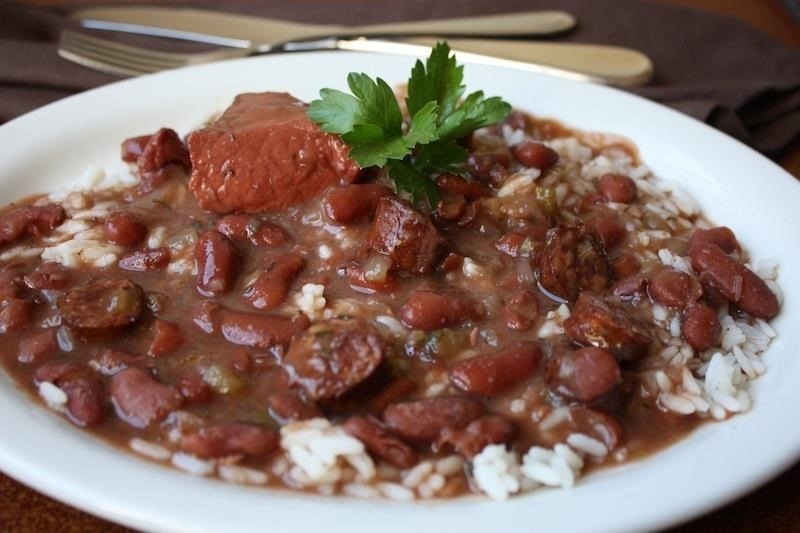 He never ate before performances, and afterward, he ate a meal from room service or take-out Chinese food, which was his favorite cuisine after red beans and rice. He also smoked pot openly (no word on whether he ate mangoes beforehand) and regularly partook of an intensely strong laxative called Swiss Kriss, which horrified his doctors. FYI, if you want to, er, pay "homage" to Pops, you can still buy Swiss Kriss today. Pablo Picasso was in a chronic bad mood for many years, which his girlfriend Fernande blamed on his bizarre diet. Picasso was a hypochondriac and later in life resolved only to consume mineral water, milk, vegetables, fish, rice pudding, and grapes. No wonder he was crabby! Meanwhile, painter Francis Bacon apparently had a metabolism like Keith Richards: he consumed multiple rich meals a day at restaurants, drank booze liberally, ingested lots of stimulants, regularly had wine at lunch, and evening drinks at a pub. He also took garlic pills, avoided egg yolks, desserts, and coffee. His body forgave him this poor treatment until later in his life, when he finally began to gain weight and suffer from hangovers. However, this live hard mentality doesn't go across the board for every genius. Many were vegetarians, including Albert Einstein (towards the end of his life), Benjamin Franklin, Mahatma Gandhi, Steve Jobs, Sir Isaac Newton (reputedly and near the end of his life), Leonardo da Vinci (again, reputedly), Nikola Tesla, and Thomas Edison (at least for a set period of time). 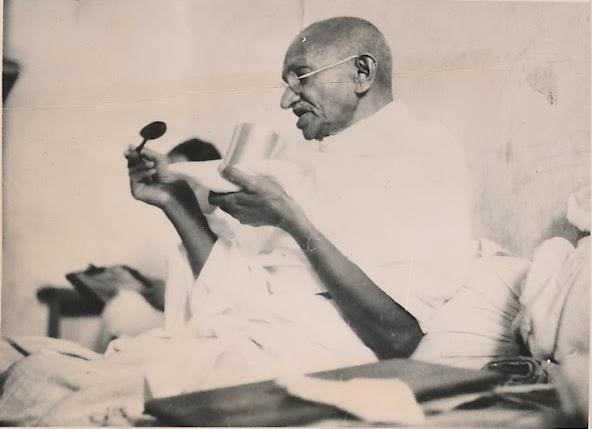 Except for Gandhi, who was vocal about his principles regarding a vegetarian diet, it's hard to document whether or not the above notable people were vegetarians as we understand the term. Keep in mind that plentiful, cheap meat is pretty much a phenomenon of the last sixty years, so they may have eaten less meat because there was less of it around. However, Steve Jobs definitely eschewed meat and had other idiosyncractic eating habits, too. He fasted frequently, once ate so many carrots he started to turn orange, and spent 1977, the year Apple was incorporated, on an all-fruit diet. He also liked to spend weeks eating only one kind of food, whether that was smoothies or, ironically, apples. Yikes. 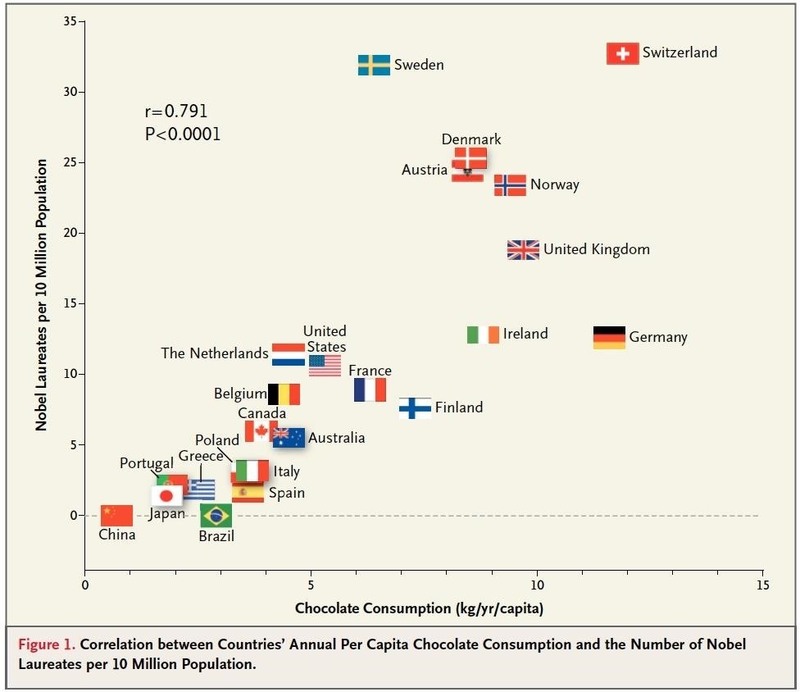 Does High Chocolate Consumption Mean More Nobel Prizes? Chocolate—the darker, the better—has been studied over the years and shown to boost blood flow to key areas of the brain, improving cognition in the short term. The flavanols in chocolate have an antioxidant effect and are also being studied for their effect on heart health and potential preventative effects against Alzheimer's. Dr. Franz H. Messerli conducted a little tongue-in-cheek project for The New England Journal of Medecine where he tracked countries and their chocolate consumption. He wondered whether there was a correlation between chocolate consumption and cognitive function. Since there's no standardized way to track cognitive function, he tracked Nobel Prize winners instead. Turns out the top three countries for chocolate eating (Switzerland, Sweden, and Denmark, respectively) also had the most Nobel Prize winners in that order. Of course, you have to take these findings with a grain of salt. First, correlation between two variables doesn't mean that one causes the other. Messerli also points out that chocolate might not make people smarter; it might be that smart people eat more chocolate. Plus, let's not forget that the Nobel Prize has a long history of controversy as well as people questioning whether the committee has gender, cultural, and racial bias. In other words, eat chocolate because it's delicious and also because it's good for your health. But if you want a Nobel Prize, it's more important that you be really smart and a hard worker, too. 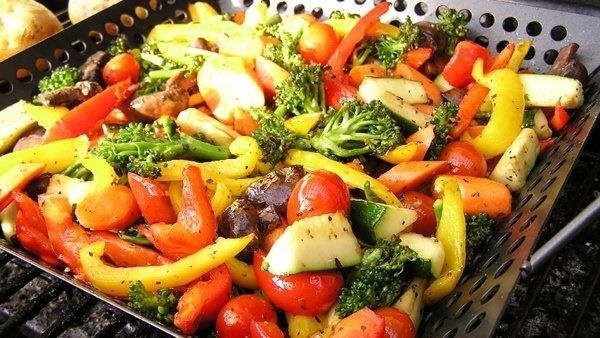 Author Michael Pollan famously wrote, "Eat food. Not too much. Mostly plants." Turns out his advice is key. For the 99.999% of us who are not geniuses but want to live long, healthy lives with highly functioning brains and bodies, the key is to eat "real food" that was grown out of the ground. Their conclusions? As the The Atlantic puts it, "They (Katz and Meller) conclude that no diet is clearly best, but there are common elements across eating patterns that are proven to be beneficial to health." Katz and Meller themselves write, "A diet of minimally processed foods close to nature, predominantly plants, is decisively associated with health promotion and disease prevention." So that's pretty good advice for most of us. If, however, you want to know more about the eating habits of the notable and acclaimed, check out Food Timeline, which tracks the food an eating habits of several famous types (including some bonafide geniuses).